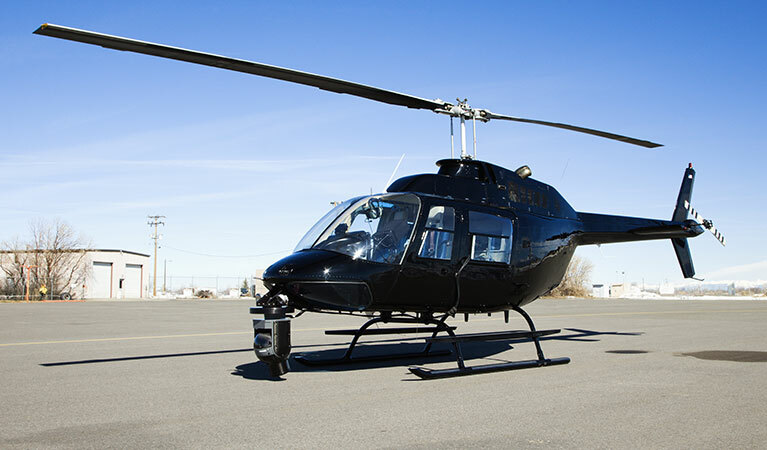 FairLifts deliver access to a range of helicopter services for Maine corporations and businesses aerial photography, videography, and surveying pursuits. Experienced providers and seasoned cinematography pilots have the knowledge necessary to deliver a quality result to satisfy the requirements of any project, regardless of the specifics, complexities or size and scale of the task. As a leader in reservation helicopter support throughout Maine, we source proficient operators and pilots who apply their expertise in operating innovative image and data collection technologies to exceed our client's expectations. Helicopters are inherently more maneuverable then fixed-wing aircraft and can fly at lower elevations at a slower pace which enables a more precise and visually stunning result. This makes them ideal for the purpose of data and image acquisition. Helicopters are also an advantageous resource because they can deliver a more extensive viewpoint and can travel to remote or impassable destinations to collect images, video and perform surveys and inspections. From contracting helicopter aerial videography services to chasing local news stories to filming high profile properties to make real estate listings pop, helicopter support for aerial image collection in Maine is on the rise. 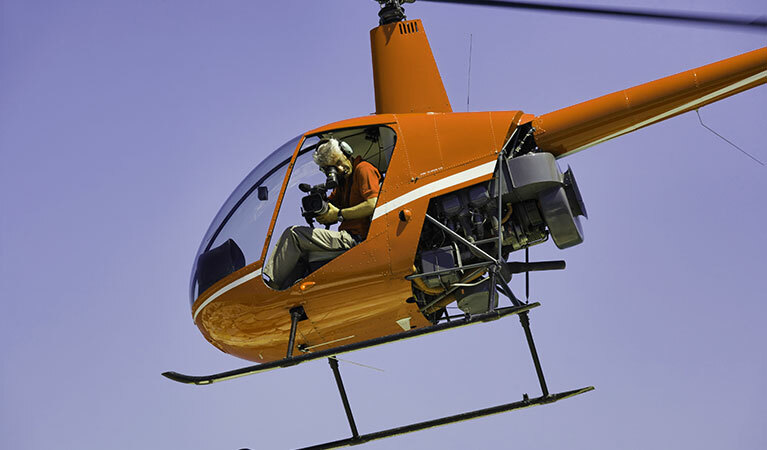 Local vendors and aerial cinematographers make use of helicopters in the pursuit of collecting video, photographs and thermal imagery for all types of professional endeavors. Like the aforementioned real estate marketing photos and/or video to demonstrate the actual size of a property or to really showcase the areas the property possess that are stunning and unique. Or, in the collection of imagery to indicate to investors and owners precisely what stage of development their structure's construction or engineering project is in. For film production, helicopters have proven advantageous in getting just the right shot to drive a filmmaker's message home or in post-production and editing which may require additional footage or reshoots. There may also be times when Maine's miles and miles of forestry may require the use of aerial image collection for population counts for a specific species of wildlife in particular areas. There's no limit to the range of industries and businesses that could benefit from aerial image collection. Additional pursuits commonly requested in Maine include oblique and vertical aerial photography, architectural photography, law enforcement assistance plus so much more. Helicopter support coordinated by FairLifts has proven to be invaluable in various pursuits across the state of Maine including land and property surveys, for large-scale and high-end real estate, to be used for commercial or industrial application, utility installation mapping, and inspection, in wildlife population studies and land demarcations. To learn more about a particular service, contact FairLifts agents or read on to see a brief overview of a select few. Helicopters improve the efficiency of the image collection process not only because of their maneuverability which guarantees dynamic action shots and footage but also because they can hover, alternate between elevations and travel into remote locations. Additionally, helicopters can be fitted with the newest in HD camera technologies and stabilization systems operated by industry professionals resulting in footage that is compelling, crisp and visually captivating. Aerial surveying is used across an array of industrial applications. From mineral exploration to the survey and inspection of energy resource pipelines, helicopters deliver a stabilized platform from which to gather and record important information. Helicopters are used alongside laser-centric technologies to isolate problem areas, map boundaries, check for easement and ROW compliances, and to look for leak signatures that could indicate a potentially harmful line fracture. Helicopters inherent capability to fly rapidly, land anywhere and take off easily from the exact same spot, deftly maneuver in high profile cityscapes and in remote locations make them a vital resource in law enforcement arsenals. Emergency services and LE also use helicopters for firefighting, SAR Ops and as a safer alternative during suspect pursuits. Helicopters are used to conduct aerial monitoring of wildlife behaviors and in enumerating population counts. Flyovers are conducted to collect imagery via cameras, video or using sensors to determine population counts or to track predators within a specified area. Beyond simply collecting information to draw comparisons between ground and aerial counts, the aerial census is an important resource in wildlife conservation as well. FairLifts' agents deliver access to experienced vendors and pilots and crew well versed in the operation of helicopter aircraft and aerial photography technologies to ensure you receive a superlative result every time. Agents are available to reserve aerial imagery and survey services 24 hours a day, seven days a week. They will strive to source workable options that exceed the expectations of the service request put forth by our clients. The reservation process is straightforward and convenient and can easily be started by completing the contact form on our website or reaching out to us by phone.